Scientists and philosophers will be grappling with the implications for years to come. Astronomers use a certain class of supernovae in a sophisticated technique to measure cosmic distance. The class members serve as "standard candles" for measuring and calibrating extraordinary cosmic distances. Referred to as Type 1a, these extremely massive exploding stars have a known absolute brightness and a characteristic brightness profile, making the explosion event ideal for determining distance independent of the customary redshift method. The brightness profile identifies an astronomical object as Type 1a. A comparison between its theoretically known brightness and the apparent brightness makes it possible to estimate its distance. By the year 1998, researchers had perfected the method. And in that year, two independent teams discovered that the universe of their authoritative textbooks —the universe they thought they understood— was not behaving the way it is supposed to. At first it seemed too incredible to be believed. After an exhaustive check ruled out potential errors, they eventually accepted the conclusion coded in the data. The consensus was that the few dozen supernovae tested were 20 to 25 percent farther away than expected. Now it may not seem like much, roughly a 1/4 fractional difference, but in terms of absolute distance we are talking about a three-billion-lightyear discrepancy (when determined with the DSSU redshift-distance equation). The astronomer-physicists reluctantly concluded that their Big Bang (BB) universe is not slowing down its expansion as had been predicted, but rather it appears to be expanding at an ever faster rate! The Big Bang universe was now accelerating! Or so it was believed. What a predicament! An embarrassing contradiction of standard theory. And there was no explanation (at least momentarily) as to why the universe seems to be speeding up, seems to be in acceleration mode. And so, 1998 was a crisis year for BB cosmology. Needless to say, BB proponents don’t like to call the failure of their cherished model “a crisis” —too suggestive of a pending disaster. The BB model, it should be pointed out, has struggled, and survived, through more than three-quarters of a century. It survived the attacks from the traditional Steady State models and also the Quasi Steady State model. In hindsight, it should have died long ago but its faithful devotees keep coming up with one or another life-supporting patch. For instance, some years ago when someone checked the numbers, an embarrassing mismatch was uncovered: The universe was predicted to be considerably younger than many of the objects it contains. The universe was supposed to be10 billion years old while its oldest known stars were estimated to be about 14 billion years old! A patch was needed and quickly adopted —something called inflation. Now almost everyone knows the meaning of monetary inflation, but what is the meaning of big bang inflation? ... Well, instead of just an ordinary big bang, this inflation magically turns it into a supersonic big bang. Inflation is the hypothesized super-fast (hyper-lightspeed-fast) expansion of space, a brief birthing phase that launched the main Big Bang event. But keeping in mind the original purpose, wouldn’t a universe that grew faster be a younger universe? Wouldn’t this make the age discrepancy worse instead better? The experts assured us the explanation is counterintuitive and so the BB theory survived the age-of the-universe problem. Then there was the horizon problem. It deals with the question of why the temperature of the distant-and-early universe, which astronomers observe in opposite directions, is so uniform. Regions that are at opposite ends of the visible universe and unrelated with respect to cause and effect inexplicably have identical energy states! To solve the horizon problem, the inflation patch was adjusted and re-applied. Professor Edward Wright provides a detailed explanation , aimed at the initiated, which may be helpful in gaining understanding (but no promises). The patched-up model of the 1970s and 1980s became known as the inflationary BB model. Jumping ahead to the year 1998, we find the BB model confronted with the formidable problem discussed earlier. Distant supernovae were found to be farther away than their redshifts suggest. As highlighted in the graph, above, their actual distance is significantly greater than what had been predicted. And since prediction is based on the redshift-versus-distance equation, the equation had to be wrong. The response of astrophysicists was predictable. Instead of recognizing that the Universe we live in is cellular and not expanding, they clung to the expansion-of-the-whole-universe doctrine. Instead of thinking outside the box and notice an infinity of cosmic bubbles, they reaffirmed their faith in universal expansion. Instead of adopting the simple and elegant cellular formulation (as expressed in the upper curve of the graph) and thereby immediately resolving the crisis; they declared that the expansion of the universe is accelerating. The universe is supposedly getting bigger and bigger, faster and faster. Did the experts ask themselves, is the acceleration something real? or is it only apparent? ... Maybe they did. Maybe some concluded that fundamental revisions were needed. And there is no question of the fact that some of the most brilliant and dedicated minds on Earth are involved in the quest for understanding. However, meaningful revisionism is rarely tolerated; the official paradigm rules; whatever the field of enquiry, this is the way it is. And in the field of cosmology, proposing a foundational change becomes unappealing to career astro-researchers. And so, in 1998 astronomers and physicists convinced themselves that the universe is accelerating. But with acceleration, a new mystery emerged. In addition to the fundamental question of why the universe is expanding in the first place, now there is the utterly baffling mystery of why it is expanding with a vengeance. In the aftermath of the 1998 discovery, as may be well imagined, a host of big bang variants were proposed and presented in scientific circles. The cause of acceleration was of foremost concern as well as reformulating, or adjusting, relevant equations. For the theoretical cause of acceleration, the experts proposed that the universe was being subjected to a mysterious dark energy that expands space and causes an increase in the rate of expansion of the universe. They were not sure if it is the Lambda force (the one that Einstein introduced into his universe model in 1917) or if it is another bout of inflation —a re-inflation phase. Some theorists turned to something called Quintessence —a force that may be responsible for the apparent exponential growth of the universe. As for the practical implementation of the patch: it simply meant re-evaluating an adjustable factor in the BB equation. An important parameter known as the matter density parameter, Ωo, was given a new value. As I said earlier there was no fundamental change in the model; notably, the same equation continued to be used. The original value of Omega, Ωo, was 1.0 (unity), the new value was anywhere between 0.25 and 0.35. By selecting the appropriate Omega value, astrophysicists are able to position the curve almost anywhere they want on a graph of distance (similar to the graph shown above). By selecting the appropriate Omega value, the curve representing the BB theory can always be made to agree with the data. Almost like magic. And so, with the judicious choice of numerical factors, the crisis seemingly disappeared. In practical terms, the BB model is much like the Ptolemaic model; with the proper adjustment of variables, it all seems to work. The Ptolemaic model was able to account for the observed motions of the planets of the Solar system with the help of various geometric contrivances to modify the predicted orbital trajectories. Similarly, the BB model is able to account for the apparent "motions" of the observable universe, all with the help of about 12 parameters, which, according to astronomer-and-physicist Mark Whittle, “… accurately measure the properties of the Universe [and] provide a stunning degree of agreement and coherence.”  Clearly, the Ptolemaic and BB models work well in an empirical way. The problem, however, is fundamental. While both models may be praiseworthy as intricate reflections of appearances, neither model is a representation of reality. The central error of the Ptolemaic system is placing the Earth at the center of the universe; and for the BB system the central error is universal expansion and its extrapolation to whole-cosmos expansion. Let us examine the implications for the cosmic distance formulation. Z is the redshift index. It is the essential and primary value measured by astronomers. This is the actual value that varies with distance. Ho is the Hubble constant. It is a measure of the rate of expansion of space itself —a rate applicable to the present era of the evolving BB universe. Although it is considered a constant, it varies with location. H is the Hubble parameter (not to be confused with the Hubble constant). It represents the rate of space expansion as a function of the age of the BB universe. That is, it varies with evolutionary time. Ω = (Actual density of matter) / (Critical density of matter). There are a number of problems associated with the Hubble constant; some relate to the BB others relate to the real Universe. One is the long-standing problem of determining an accurate value. Astronomers have come to recognize that the rate of expansion of space varies in different parts of the universe. With such regional variation it is hard to pin down a precise "constant" value. In practice, an estimated average value is used for the BB cosmic distance equation. A deeper concern with profound implications: If the distance equation is to include a measure for the expansion of space, it should also have a measure for the contraction of space. As Einstein well understood when he referred to "contractile" gravity, the gravitational effect tends to contract, or shrink, space. 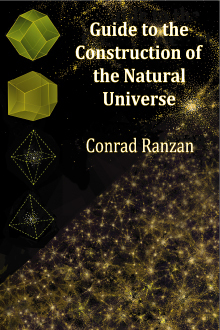 If one includes both factors, a factor for expansion and another for contraction, that is, one to take care of the space expanded within cosmic voids, the other to take care of the space contracted in and around the great galaxy clusters (as well as isolated field galaxies), then one will find a marvelous balance. One will find that, although space expands (albeit regionally) the universe does not expand. If, however, the "contraction" effect is not recognized, and not taken into account, the result must be an out-of-balance expanding cosmos. Such oversight leads to the prediction of a big-bang-type universe. Another serious problem is that the Hubble constant is based on a flawed interpretation of the cosmic redshift. The traditional interpretation of the cause of redshift is that distant galaxies are receding with the space vacuum in which they are embedded. This produces a Doppler effect on the galactic light that is eventually received on Earth. It is, according to this interpretation, simply a measure of the increase of the intervening space (vacuum) between our galaxy and the distant galaxy. It is usually expressed as the rate that a distance of 1 million light years, a tiny portion of the total distance, increases in one second of time. As an example, 1Mly typically expands by 15 to 20 kilometers per second. The key point is that the cosmic redshift is taken to be a Doppler effect. The problem is, in the real Universe, galaxies are not receding; there is no Hubble-based Doppler effect. What actually causes the cosmic redshift is a simple recently-discovered process called velocity-differential redshifting. It is amazing that in their search among countless varieties of tired-light mechanisms theorists had somehow overlooked this particular, rather self-evident, process. Significantly, the velocity-differential redshift is applicable to both types of cosmic regions —those where the vacuum is expanding and also where the vacuum is contracting. Ωo ≈ (0.30) / (1.0) . But all the visible and detectable matter of the universe yields a density that is only about 0.02 as a fraction of critical density. This means that the balance of the fraction, or 0.28, must consist of some unknown kind of matter! Its only known characteristic is that of having a gravitational nature. Ωo ≈ (0.02 + 0.28) / (1.0) = 0.30 . To summarize: In order for the “distance” curve to fit the data properly (see the graph above), Ωo must be about 0.30; but because visible-and-detectable matter only contributes a tiny 0.02 proportion, a large proportional amount of "dark matter" has to be invented. There is, however, no evidence, none whatsoever, that this mysterious dark stuff exists. Since it serves no useful purpose for an intrinsically cellular universe, Omega does not appear in the DSSU cosmic-distance formula. In the BB universe, the vacuum energy overwhelmingly dominates. It is essentially what keeps the BB from collapsing. And herein lies the simplified explanation for acceleration. As the universe expands there is ever more space, more vacuum, and more vacuum energy; ΩVACUUM increases. However, ΩMATTER does not increase; the matter content of the universe remains constant. Obviously, Ωo gets smaller and smaller; which, in turn, means the BB distance curve tends higher and higher. The result is, essentially, a runaway effect —the acceleration effect. In contrast, the DSSU maintains the vacuum energy in harmonious balance with all the other forms of energy. The differences in cosmologies are fundamental; and the consequences are profound. The crisis of 1998 may have been a serious blow to BB cosmology, but it represented a harmonious match between theory and evidence for the DSSU theory. The decay characteristics of the flash from supernovae revealed their extraordinary distance —and these distances agree with the DSSU redshift-versus-distance formulation. As the upper curve in the graph indicates, what the observers found and what the equation predicts agree with each other. DSSU theory converts redshift to distance using underlying principles that are almost totally alien to standard cosmology and yet it all agrees with corroborating evidence. The theory uses principles that are outright heretical —if proclaimed in another age they would herald instant condemnation from BB orthodoxy and excommunication for the innovator. They are: (1) The universe is not expanding. (2) The universe is infinite. (3) The universe had no genesis, will have no doomsday. (4) Notwithstanding the perpetual existence of the universe, everything, every entity, in (and of) the universe, has a limited term of existence. There are continuous non-cyclical regeneration processes, thus, the overall appearance of the universe never changes. These principles match reality. The crisis of 1998 focuses attention on an uncompromising fact: the wonderful match between theory and observation is best achieved when one’s theory holds that the universe is statically cellularly structured and correspondingly nonexpanding. The BB model fails as a scientific theory. It has always been and always will be merely a hypothesis. Any theory that incorporates the invalid conclusion of the historic Michelson-Morley (MM) experiment: is either incomplete or just plain wrong. Einstein’s relativity theories are classified under the former —they are incomplete and physicists know they are incomplete. The Big Bang, the Steady State, and all expansion-of-the-whole-universe theories are classified under the latter —they are just plain wrong. Albert Michelson and Edward Morley had doubted their own measurements and followed up their doubts by reporting their failure to detect the Earth’s absolute motion through space—its motion with respect to the vacuum, or the aether. This unjustified “null” interpretation was translated into the invalid conclusion that the aether does not exist. The concept of absolute space, or equivalently a space medium, was henceforth banished from mainstream physics. A ghastly mistake. As discussed in greater detail in various articles posted on the Cellular Universe website, the invalid conclusion of the MM experiment was incorporated into a number of important theories and many of the models of the universe that were developed during the decades after the 1880s. Of interest in the present brief discussion is that the expansion-of-the-universe model conceived by Willem de Sitter, Alexander Friedmann, and others during the 1920s perpetuated what is probably the biggest scientific blunder in modern history. 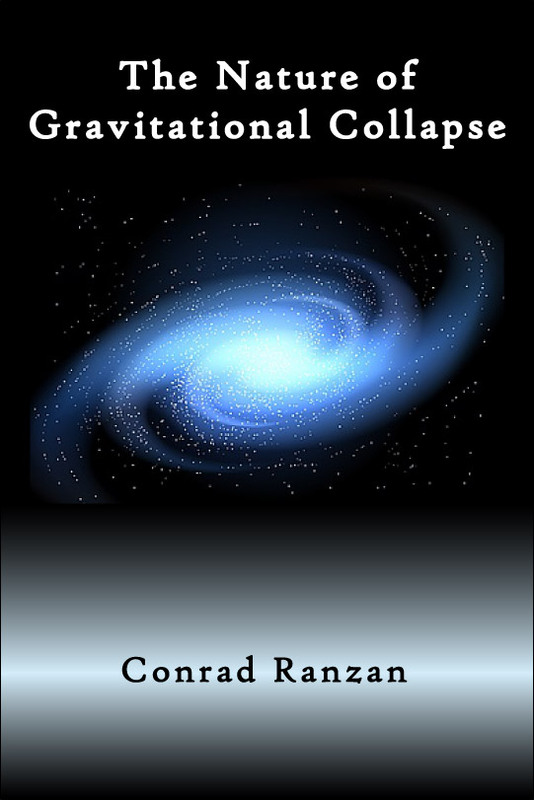 In the years that followed, the fantastical creativity of Georges Lemaître transformed the simple expanding-universe model into the expanding-universe-from-an-unstable-speck-of-almost-nothing model —we call it the Big Bang hypothesis for short. It stands foremost in perpetuating the blunder. The roots of the crisis in the standard model, as the foregoing suggests, are deep indeed. First, recognize that our Universe is not accelerating; it is not even expanding (only regional "space" is expanding). Face the reality that the Universe is already fully expanded —always has been and always will be. Second, accept what has actually been observed (by astute astronomers like Jaan Einasto and Anthony P. Fairall); accept what has been logically deduced. Accept that the Universe has a grand scale cellular structure. Our Universe is a cellular universe. Third, adopt the DSSU redshift-distance formulation for calculating significant cosmic distances. 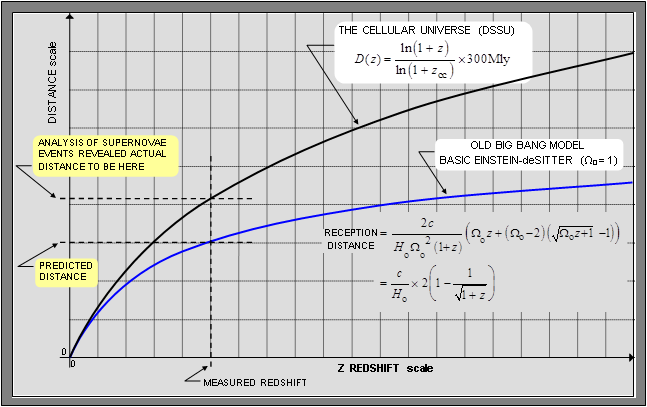 The standard redshift-distance equation used by astronomers (and shown in the graph) simply will not work in a multi-cellular non-expanding universe. A logarithmic formulation must be used. And lastly, understand that the cosmic redshift is caused by a velocity differential effect acting on light waves as they propagate in both expanding-vacuum and contracting-vacuum regions of the cosmos. This article is an open-access article distributed under the Creative Commons Attribution License (http://creativecommons.org/licenses/by/4.0/) which permits unrestricted use, distribution, and reproduction in any medium, provided the original work is properly cited. ^ Timothy Ferris, The Whole Shebang, A State-of-the-Universe(s) Report (Simon & Schuster, N.Y., 1997) p36. 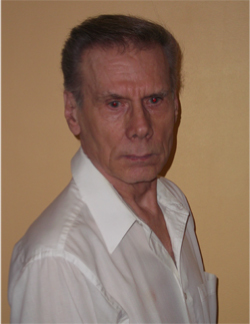 ^ C. Ranzan, Cosmic Redshift in the Nonexpanding Cellular Universe: Velocity-Differential Theory of Cosmic Redshift, American Journal of Astronomy & Astrophysics Vol.2, No.5, pp47-60 (2014). ^ R.T. Cahill, Space and Gravitation, Magister Botanicus, Vol.2, pp.13-22 (Jan 2004). ■ 1st Crisis in Cosmology Conference, CCC-1, (2005). Astronomical Society of the Pacific Conference CCC-1. Report published in Progress in Physics, Vol.1, Issue 3, 2005. ■ Report on the 1st Crisis in Cosmology Conference CCC-1, (2005) by popular astronomer/cosmologist Hilton Ratcliffe.